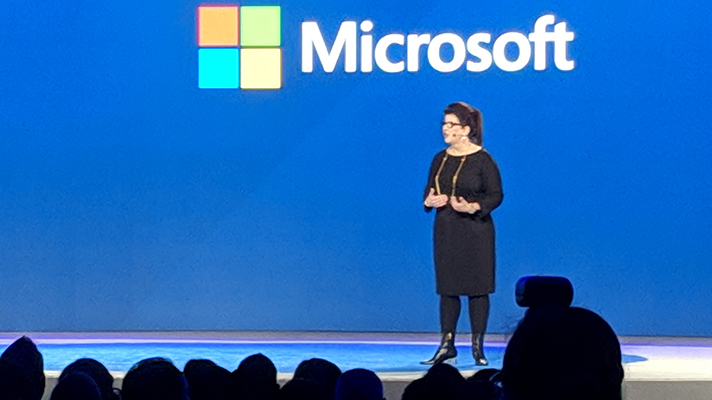 Ann Johnson, corporate vice president of cybersecurity solutions at Microsoft, onstage at RSA 2019. SAN FRANCISCO — Diverse cybersecurity teams are not just about feeling good or making a positive impression to the outside world. Rather, the business imperative is that a more inclusive infosec shop will be stronger, make better decisions and become well suited to endure the ongoing talent shortage. Cybersecurity and IT, in fact, are amid talent shortages that are only going to get worse. Ann Johnson, corporate vice president of cybersecurity solutions at Microsoft, shared some statistics onstage here at RSA 2019. Particular to information security across all industry sectors there will be a shortfall of talent resulting in more than 3 million open jobs, while 70 percent of IT employers are facing either a moderate or extreme shortage of technology professionals. What’s more, work stress is causing 66 percent of surveyed employees to look for a new job with 51 percent even willing to take one at a lower salary than they currently earn. Johnson and other executives here were careful to point out that diversity goes beyond gender and race and, instead, extends into the realm of ideas and new ways of thinking. These include technological advancements, of course, but also news ways of doing things. “We need a nice mix of competent people, men and women,” Ullal added. Another statistic Microsoft’s Johnson showed onstage: Diverse teams make better decisions 87 percent of the time. Johnson highlighted the cyber inclusivity program BlackHoodie, which bills itself as a reverse engineering workshop, as one place to start. And Ullal explained that it starts in the schools by engaging more diverse types of people to get them into science and math — before they enter one’s corporate culture. While Ullal described Arista as “a living example of diversity,” because she and CFO Ita Brennan are both women, her co-presenter, Palo Alto Networks CEO Nikesh Arora, said that his company just revamped its values to focus on diversity and inclusion. Fostering diversity and inclusion naturally points to the need to also cultivate those people as leaders. And there are very real consequences at stake.